The human voice is the original, some would say the best, musical instrument. Singing a cappella is a musical form which delights with its special vibrations. A cappella music is sung in harmonies, unaccompanied by instruments other than percussion. 'Raised Voices' is one of the Shoalhaven's foremost a cappella choirs. 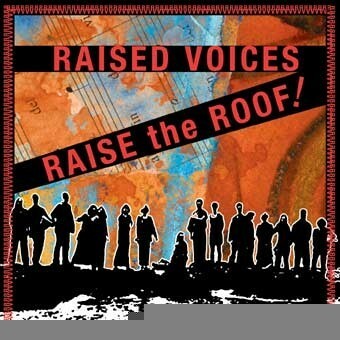 'Raised Voices' was formed in 1994 as a group of nine women singers that focussed mainly on world music. In 1996 the membership was expanded, some men joined the group and Allison Cameron took on the role of musical director. The group has evolved over the years to its current form, as a community choir with approximately 20 members. A major influence in the formative years of the group was the Sydney a cappella choir 'Voices From the Vacant Lot'. The group's current repertoire is diverse, a mixture of traditional songs from other cultures in their languages, and contemporary songs, many arranged or composed by members of the group. 'Raised Voices' has performed at the Jamberoo and Majors Creek Folk Festivals, and many events throughout the Shoalhaven. The group won the small choirs section of the Shoalhaven Eisteddfod in 2001.
our CD ! available now ... only $10 !